A 19-year-old Kissimmee resident was killed when his Nissan Altima collided with a log truck on U.S. 192 near Deer Park Road. An 83-year-old man was driving the log truck. The truck driver stopped at a stop sign on Deer Park Road and then proceeded to cross U.S. 192. The 19-year-old could not stop his vehicle in time to avoid colliding with the truck; he was pronounced dead at the scene and his three passengers suffered serious injuries. The truck driver did not suffer any injuries in the accident. The crash is currently being investigated and it has not been reported if any traffic violations occurred. Each of these victims should have their own experienced legal representation. A personal injury lawyer can guide them through the insurance claims process, ensuring they are treated fairly and not taken advantage of by big insurers with their own legal teams. Attorneys can ensure that a personal injury lawsuit is properly filed when necessary. Also, an experienced lawyer will ensure each victim’s claim is properly valued and that none of the adolescent’s settle for an amount far below what they deserve under the law. 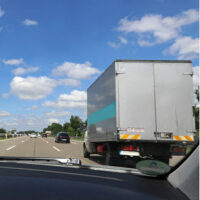 If the other driver is found to be at fault, then the deceased’s surviving family members may be able to file a wrongful death claim against the trucker or his employer. Under the Florida Wrongful Death Act, Sections 768.16-768.26, a deceased individual’s surviving parents, spouse, or children, or other blood relatives who were financially dependent on them, may be able to receive compensation through a wrongful death claim. Other family members, romantic partners, or friends are not entitled to wrongful death benefits. However, none of these individuals file the wrongful death claim. Instead, an attorney will work directly with the personal representative of the deceased individual’s estate, which may be a family member, to file the claim. The personal representative will fight for the family members to recover compensation in court and with the at-fault party’s insurers. Were You or a Loved One in a Car Accident? If you were injured in a car accident or you lost a loved one in a crash, and you are confident another driver was at fault, call us at Salazar & Kelly Law Group, P.A. as soon as possible. We will thoroughly review your situation and explain Florida’s personal injury or wrongful death law. Once we have the facts of your case, we can guide you through the next best steps. Our main goals will always be to protect your rights and to obtain you the most compensation possible for your injuries.